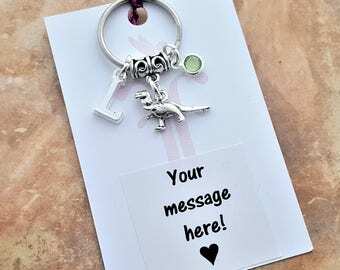 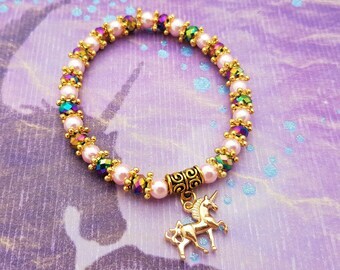 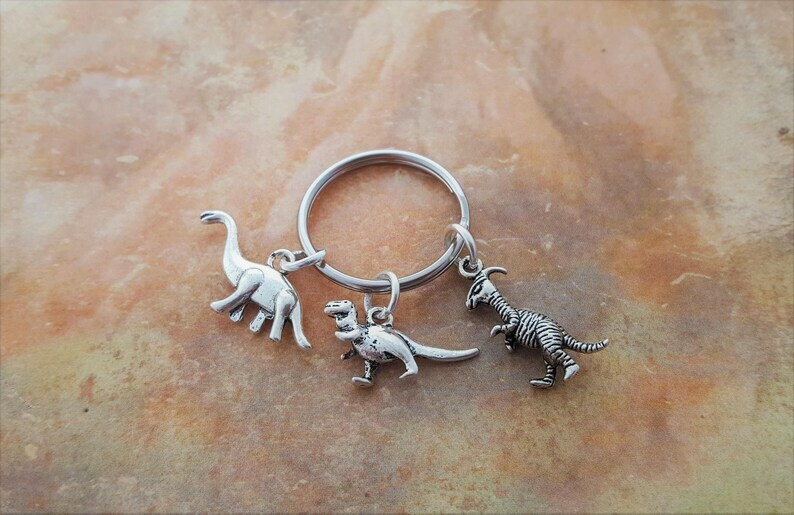 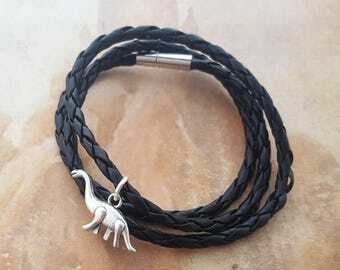 Brontosaurus Charm: 27x12mm, double sided. 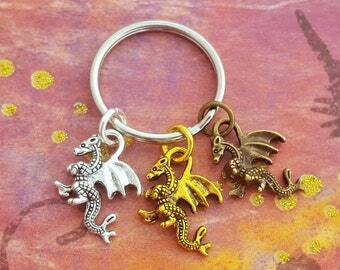 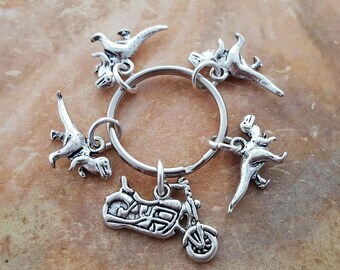 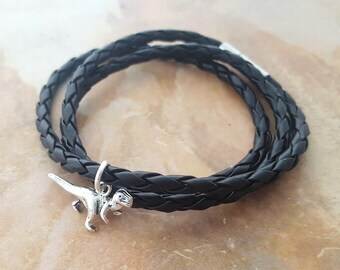 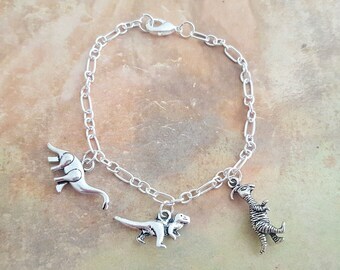 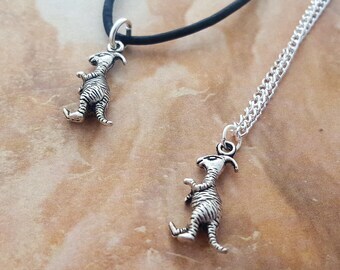 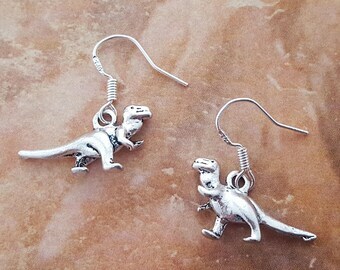 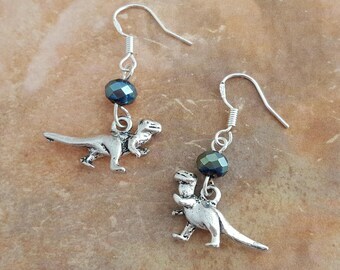 Velociraptor Charm: 20x12, double sided. 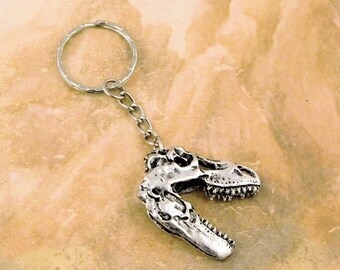 Made from tibetan silver, a zinc alloy that's nickel and lead free. 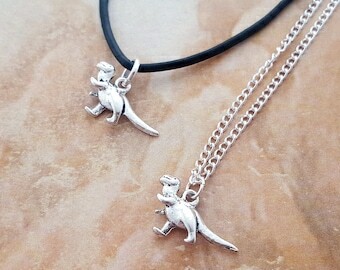 I bought this for a (late) Christmas for my friend. 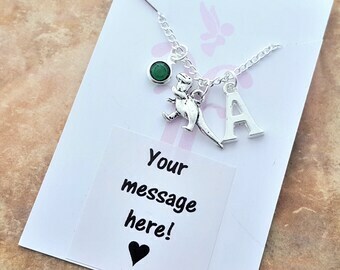 It came super fast and it was super cute! 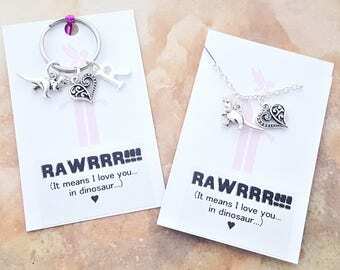 We both love it and we both recommend it!